Contains Lime Peel Oil, thought to be one of the most well-rounded natural skin care products available. 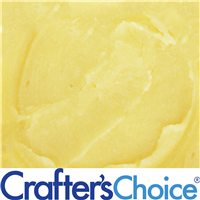 Exhibits excellent spread-ability on the skin, making it ideal as a massage butter or carrier for treatment products. It adds moisturizing attributes to creams and lotions and bar soaps. All Natural. COMMENTS: Just a little added to soap batter gives it a nice lime scent and moisturizes too. "OMG - this is awesome!" COMMENTS: I have to tell you, this is probably one of the best smelling butters ever. I could just sniff it all day. Super absorbent and smells of lemons and limes. I love it. Will be purchasing more for my products. COMMENTS: I love the smell ... there is no need for any other scent to be added. I've used this (so far) for a great face/eye cream, eye balm stick, lip balm and exfoliating face soap (added orange peel). They all smell so rejuvenating/uplifting and work great! Everyone I've had sample them loves the products as much as I do. Please keep this! "Smells Good enough to eat." COMMENTS: I opened the jar and wanted to go grab a spoon! I bought this to add to my facial cleanser and boy am I glad I did. It adds such a fresh and yummy fragrance and my customers love it! WSP hits another home run. COMMENTS: It must be mixed with something though because of the really strong lime smell. I mixed it with the shea aloe and it is great! I might try it mixed with the lemongrass too! "Is there a risk of phototoxicity as there is with the lemon butter? What about the orange butter? Thanks in advance for your help." Staff Answer Since the percent of ingredients is proprietary, we cannot know for sure how much lime or orange oils are in this butter. It might be best to not use this in lip products because of the potential for phototoxicity.